If you follow me on Instagram, you might have seen this photo posted up a couple of days ago: These are my two most recent makeup acquisitions and on one crazy day, the MAC Prep + Prime Color Correcting Creme and Stila Convertible Color in Camellia were all I wore out of the house. Those and nothing else. Can’t get much more minimal than that! And I really liked it. So before I write up full reviews, I thought I might take you through my process in choosing and eventually purchasing these babies. Last week, I was on the hunt for a new base. I knew I wanted it to be on sheer side but with skin-enhancing properties. 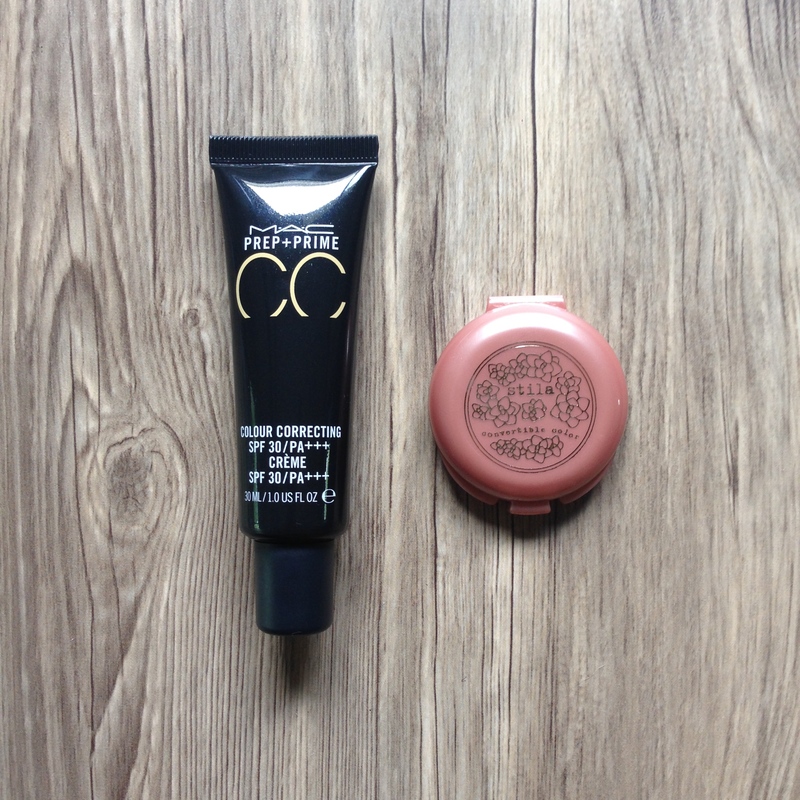 CC creams were an obvious good bet, but I also checked out some tinted moisturisers. I made a few rounds at the mall, but the MAC Prep + Prime Color Correcting Creme looked to be my best bet. The Prep + Prime CC range comes in cream, pressed powder, and loose powder form. The cream is a “multitasking formula that evens skin tone, increases luminosity and inhibits oily shine while protecting from harmful UVA/UVB rays.” The powders were not of interest to me because my skin has been dry of late. Plus the creams have an SPF of 30. Always a plus! The next step was to choose which “shade” to use. As these are color correcting products, they come in funny shades that help adjust skin tone. Yellow (Neutralize) combats redness, peach (Adjust) remedies dullness, apricot (Recharge) is for severe darkness/dull skin or ashy tones, and lavender (Illuminate) adds brightness to the skin. I went with Neutralize because I get red patches on my face often. Liking it so far but I have to be careful to keep it away from areas that don’t suffer from excessive redness because if I do hit those, they just look too yellow and off. Might go for Adjust to complement Neutralize one day if budget permits. As for the Stila Convertible Color, well… this purchase was totally unplanned. Have you ever heard me talk about cream blushes? I don’t generally like them. Products like the convertible colors usually only find their way to my lips so that half of their intended purpose is slashed. Nothing really wrong with that – it’s just that I personally never really liked creamy cheek products. Until now, that is. 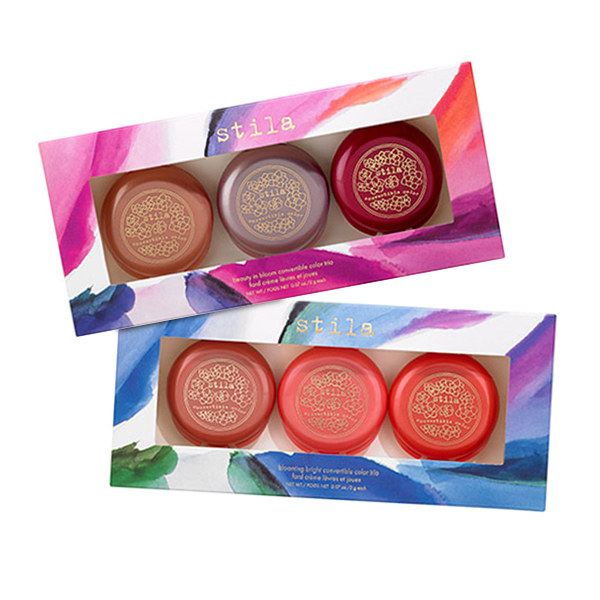 It was the cuteness of these sets of three mini Stila Convertible Colors (1,150) that drew me in. I mean hello. They’re just too cute. I went with the trio in the pink packaging, which contained the shades Camellia, Peony, and Tulip. After I applied the MAC CC cream on that fateful day, I felt that I needed to add more colour back into my cheeks. I hadn’t powdered and didn’t intend to, so I picked up the convertible color and carefully applied it. I liked it at the beginning of the day and I continued to like it all throughout. I don’t know for certain yet, but I might just be a convert when it comes to this little convertibles. I’ve recently discovered the stila line of products- so far they haven’t disappointed me. Thanks for sharing. I got the Stila one in Peony as a gift with a lipstick I bought. I’ve never used a cream blush, I’m still figuring out powder :) I will have to experiment. Also feeling the struggle of how hard it is to wear makeup when it’s so hot. I’m less than five minutes out of an airconditioned room and my sweat is already dripping down my lips and forehead!